Robert Axle Project Lightning Bolt-On Axles offer a low profile & lighter weight alternative to those ugly & bulky thru axle levers on your bike. Replace them with the highest quality thru axles. Available in front & rear sizes. - Lightning is Better: Available front & rear Lightning Bolt-On axles offer a stronger, more durable, lower profile & lighter weight option to replace your stock thru-axles. - Low Profile: No more bulky handles to strike trail obstacles. Aerodynamic design. - Light Weight: RAP axles are internally bored to remove unnecessary material without compromising strength. - Easy to install: The matching front & rear Lightning Bolt-On Axles only require a standard 6mm hex wrench for easy installation & removal. - Better Tolerances: Manufactured in the USA to the tightest tolerances using aerospace materials & CNC manufacturing. No longer will your axle loosen while riding. - Available Security: Compatible with Hexlox & Pitlock- Pit Stopper bike security systems. 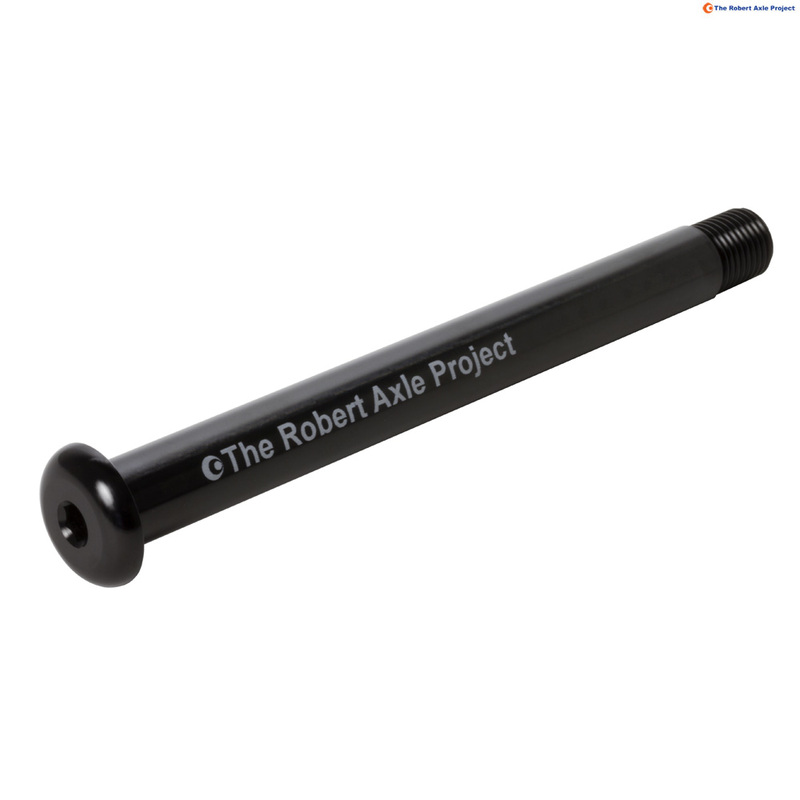 - This axle is compatible with Maxle 12x142 & other axles with the same dimensions.